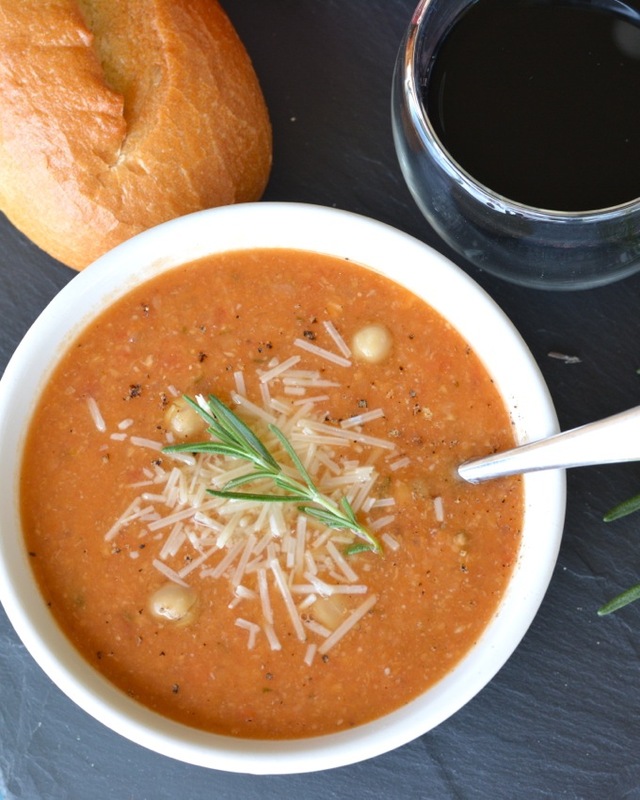 This Tuscan Chickpea Soup is simple but so flavorful, with fresh rosemary, Parmesan cheese and balsamic vinegar. It’s a great healthy vegetarian meal that’s packed with fiber! This week I’m back home after a 10 day vacation that was so much fun, and frankly– a little exhausting. I covered 3 states and 4 cities in the 10 days, got to see a bunch of old friends, and made a few new ones. 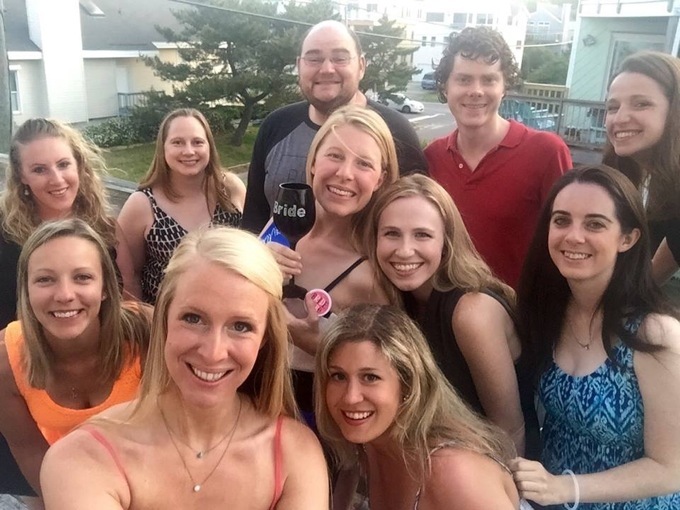 The main part of the trip was to Virginia for the bachelorette party of a friend I’ve known since kindergarten. I’m not quite sure how it’s possible that I’m old enough to have been friends with someone for 25+ years, but… it is. No one puked or got arrested, so I guess that means we’re officially old. 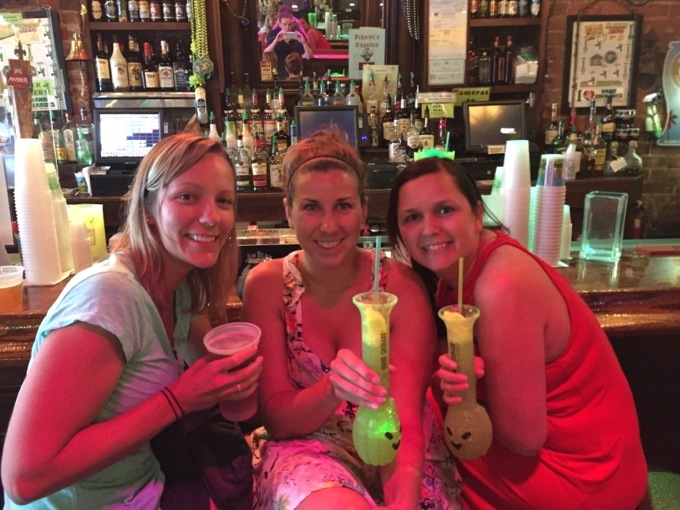 Since I was already going to be on the east coast, two of my best friends and I decided to tack a girls weekend in Florida onto my trip. 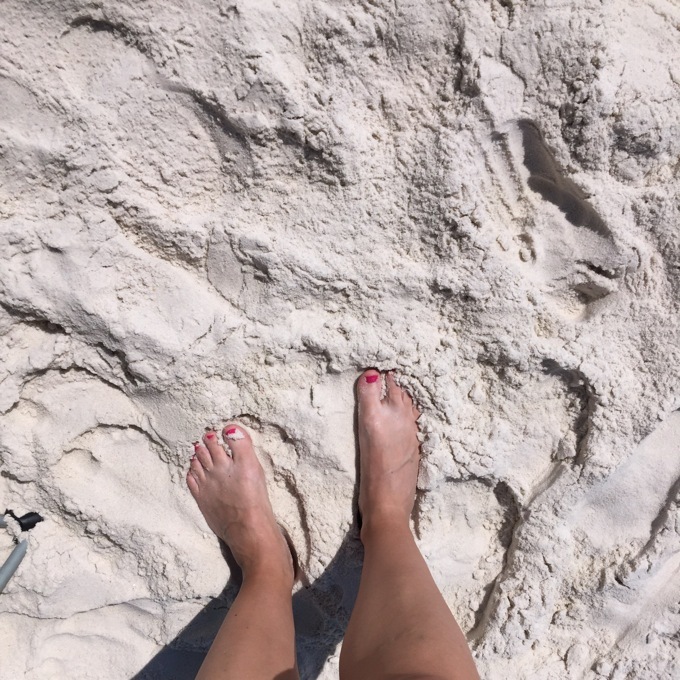 California is pretty, but… I seriously miss warm water and soft, powdery sand. I’m now devising a plan to convince the Navy to send us back to Florida. And then we stopped in New Orleans in between. And, you know. Did what you’re supposed to do in New Orleans. I had so, so much fun and am so glad I had the opportunity to spend time with some of the friends I miss the most! But 10 days of sun, booze, eating out and staying up late has left me a little ragged. So I came home ready to cook some deliciously healthy meals. Like this amazing super-fiber-packed soup. I’ve made this soup a few times before, on dark wintry nights when the last thing I wanted to do was bust out the camera and my whole lighting set up. Now that it’s still light out at dinner time, nothing gets left off the blog. Well… maybe a few things, but definitely not as many. This soup is one of those recipes where a few simple but really good quality ingredients come together to make something so fresh and flavorful. The rosemary, Parmesan and balsamic all really shine. The little rosemary bushes I planted in the yard are starting to grow, so mine was extra-fresh. This recipe is from Cooking Light. It’s one of those meals I make over and over. It’s easy and it never disappoints. It also freezes really well (and is easy to double), so I love having some ready to defrost whenever I don’t feel like cooking. Nick is also a huge fan of this soup and always asks for it! Heat the olive oil in a large soup pot or Dutch oven over medium heat. Add onion and garlic, and cook for 10 minutes, stirring frequently, until soft. Stir in the water, rosemary, salt & pepper, chickpeas and tomatoes, and bring to a boil. Reduce heat, and simmer 20 minutes. Stir in the vinegar, and bring to a boil. Remove from heat. Serve topped with Parmesan cheese, along with some crusty bread for dipping. Sounds like you had a great time, Jess! And I’m sure you’re ready to relax now. This soup looks fantastic! I’m obsessed with chickpeas, so this sounds right up my alley. Gorgeous pictures, too! Your trip sounds amazing! What a great way to spend time with girlfriends. And now puking at a bachelorette party? You all deserve a gold medal, haha! This soup sounds deeelish! Your trip sounds like it was so much fun! 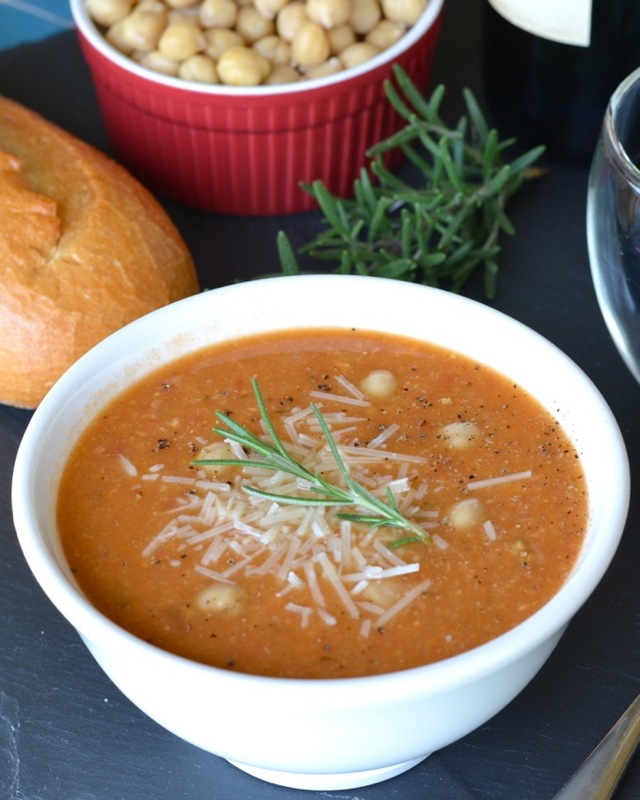 This soup looks like the perfect comforting meal after being away. Love the flavors and anything with chickpeas always gets my vote! What a fun trip! I love splurging on vacation but by the end I’m craving routine and lighter meals most of the time. This soup is perfect! It would definitely be a favorite in our house! This soup looks amazing! I’m sure it was so comforting to have a big bowl of this after all your travels! Your trip sounds like so much fun by the way. I love to try new soups! This one sounds like it has great flavor!